Imagining ideas for modeling clay is easy. Actually doing it can be daunting. That’s why crafters need clay and polymer clay books in their libraries. The right book should provide straightforward information of necessary tools, the best clay for sculpting different types of figures, user-friendly instructions, and how to make it appear realistic. Now you’re asking, “Where can I buy modelling clay books?” First, decide which book is applicable to your project. If you’re a pet lover looking forward to sculpting animals in clay, this book provides concise instructions for beginners on using polymer clay and simple techniques to give your critter creations personality and beauty. With clear verbiage and photos, forming a lump of clay into an exquisite forest animal will be enjoyable and fun. 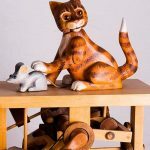 If you already have a foundation in the art of clay modelling, it includes valuable techniques you can use to improve upon your existing skills. The author shows the appropriate techniques and styles to use to create realistic and well-designed animals worthy of giving as a gift or selling at a craft fair. 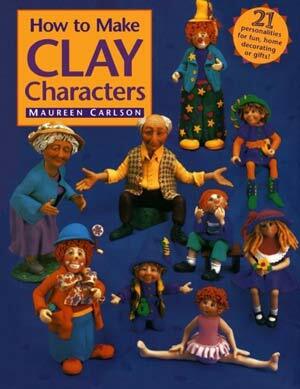 For the beginner with a vivid imagination, this is one of those clay modelling books that’s a must-have. A paperback that’s bursting with ways of populating a Christmas village with people you created will be the topic of conversation for years. The full-color photos, clearly explained instructions, standard supplies, and your imagination are all you need to make some cheery characters that are from a variety of humorous groups ranging from simple figures to more complex characters (think Santa Clause with beard and rosy cheeks). Beginners can learn the skills of sculpting by following the well-written instructions and mimicking the techniques shown in the photos. Then you can build on your own ideas for modeling clay families for dollhouses, knickknacks, or other miniature environments. Clothing and accessory templates, supply lists, techniques, and tips and tricks are all laid out in this book to help breathe life into your pint-sized friends. 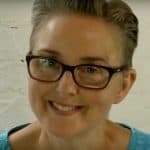 Having published other clay modelling books, this author’s work delves deep into the working properties of polymer clay, tools, curing, safety, and color blending. 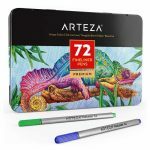 Techniques are presented in a plethora of color photos for making jewelry, special effects, inks, and surface techniques like stencils, paints, and stamps. The book is divided into seven sections for easy learning that showcases the innovative technique the author uses. 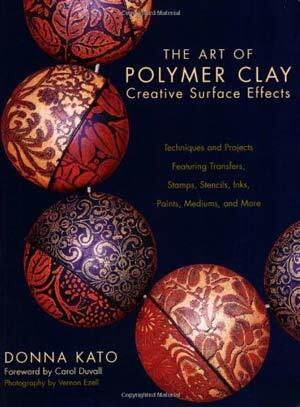 It’s a reference book for all skill levels that breaks the art of using clay into understandable concepts. An essential part of sculpting is to get a firm grasp on the art and associated mediums. 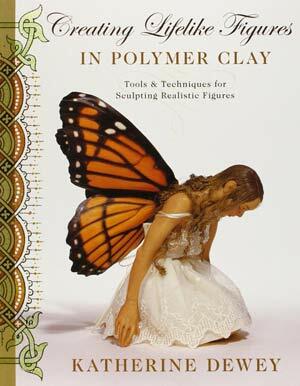 This book outlines the often missed exponents of clay modeling. 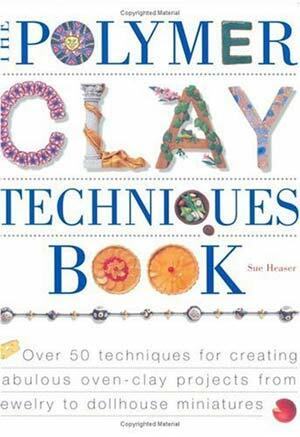 Containing a variety of over 50 techniques, this book takes clay modelling to another dimension. Starting out with the basics, it moves methodically to more complex projects and how to combine them to create buttons, beadwork, faux stones, jewelry boxes, and more. Supplies are clearly listed and the technique is concisely addressed. Color photos supplement the written instructions on using polymer to mimic marble, enamel, wood, ivory, and semiprecious stones. Other clay modelling books rarely bring these approaches to light. More of a technique-based book, basics such as supplies, color mixing, baking, etc., are also covered. For the more advanced clayer, there are more intricate jewelry projects and designs. Instructions on manipulating clay for beads, frames, and flowers are easy to follow. Embellishment treatments – stamping, image transfers – to creating antique effects are all part of this essential book. Get the latest price for The Polymer Clay Techniques Book Paperback here.. The next best thing to having a teacher by your side is having a book written by one. Specializing in the essentials of figure sculpting, this is one of the most popular polymer clay modelling books available. Techniques are shown in vivid detail via large close-up photos with accompanying instructions. 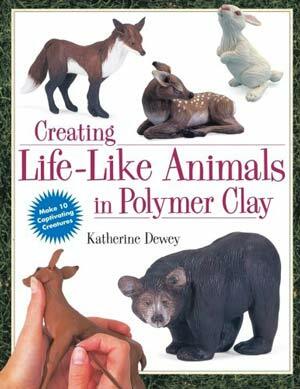 The author, Katherine Dewey was a former teacher of clay sculpting and takes the beginner on an easy-to-understand journey of how to bring an idea to life through clay. How to form realistic faces, musculature, hands, feet, and expressions are all outlined with specific techniques. 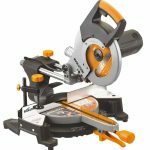 The use of each tool is explained and even how to make your own in order to capture those unique details. When you’ve mastered this, go to the provided links in the book where you’ll have access to printable PDF files containing scaled templates of body parts and extra sculpting tips. 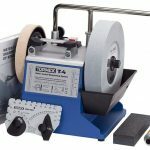 Which clay and polymer clay books are best for my projects? Anyone asking, “Where can I buy modelling clay books?” can find all of these books online and at most craft stores. Decide what book has the information you need first and will it suit your desired form of modelling. If you’d enjoy sculpting animals in clay, the ‘Creating Life-Like Animals in Polymer Clay’ can walk you through the process of creating that adorable family of ducks, cows, and pigs. 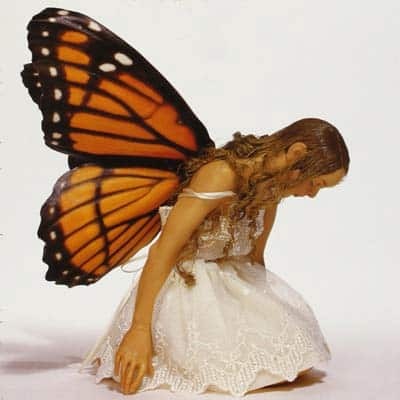 Katherine Dewy’s other book featured in this review ‘Creating Lifelike Figures in Polymer Clay’ also offers great insights into sculpting techniques for realistic figures. More advanced clayers looking for techniques and a wider range of projects should try ‘The Polymer Clay Techniques Book’ to create art and jewelry that is beautiful and functional. 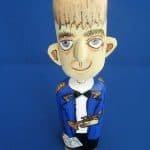 If you want to try a range of styles and techniques it may be a well worth investing in several books to build up your own polymer clay sculpting library and expand your creative talent and know how in thes fabulous hobby.